His brothers said to him, 'Do you intend to reign over us? Will you actually rule us?' And they hated him all the more because of his dream and what he had said. 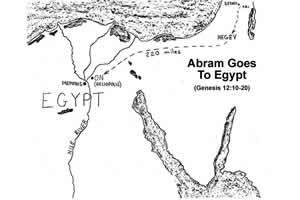 When Pharaoh or the Egyptians in prison had a dream they needed an interpretation to understand the meaning of the dream. But, in Joseph’s family, the mere telling the dream was enough for a full, unified understanding of the dream’s symbolic meaning. Joseph’s father, Jacob, could also have been skeptical and angry, but Jacob has learned what his sons have not learned: Just watch and see…it either will or won’t be true, but either way man’s hand in this will be limited and God’s plan will be accomplished. I just don’t want to get caught in the cross fire resisting God! It seems that things might have went better, or at least differently, if Joseph had not succumbed to the desire to share these dreams with his family. In an attempt to confront a spiritless, formal church in 155 AD Montanus began to stress the Second Coming of Christ and taught that inspiration by the Holy Spirit was continuous and immediately occurring through him. He began to teach that the Kingdom of God would appear in Pepuza, Phrygia. His followers became strict ascetics fasting often and eating only dry, cold food. Two well-known women, Prisca and Maximilla, prophesied for him while he preached with great emotion and the waving of a handkerchief. The Montanist hoped not to die in bed, but to die as martyrs. Montanus predicted that, “After me there will be no prophecy, but the End will come.” At the Council of Constantinople in 381 they were condemned as heretics and encouraged to be looked at as a pagan religion. Chazon (Hb) - Vision (Eng) - chazon is the Hebrew noun that means a “vision” that is either in an ecstatic condition or a vision in the night. Chazon is also refers to “revelation,” “oracle,” and “prophecy.” Daniel and Ezekiel received chazon and needed angelic assistance in understanding. Chazon is used 11x in Daniel, 7x in Ezekiel and 35x in the whole Old Testament. In Acts 13:7 Paul met with Sergius Paulus who Luke says was the Governor on the island of Cyprus. Skeptics and critics have doubted the historical accuracy of Luke's record in Acts, but six things proved the accuracy of Luke's document. Third, an additional inscription with the family name of "Sergii Paulli" was found in 1912 in Pisidain Antioch. This family had large estates near Pisidian Antioch, which was Paul's next stop after Cyprus. "...L.SERGIUS PAULLUS...CURATORS OF THE RIVER TIBERIS...CLAUDIUS CAESAR..."
Fifth, Pliny the Elder refers to Sergius Paulus in his writings on "Natural History," while also mentioning that the island of Cyprus was filled with praticioners of sorcery. Do I trust God is woking in my life? Do I consider God to be an active force each day? The north wall of the city of Jerusalem stands on the same bedrock that it did in the days of the Bible. 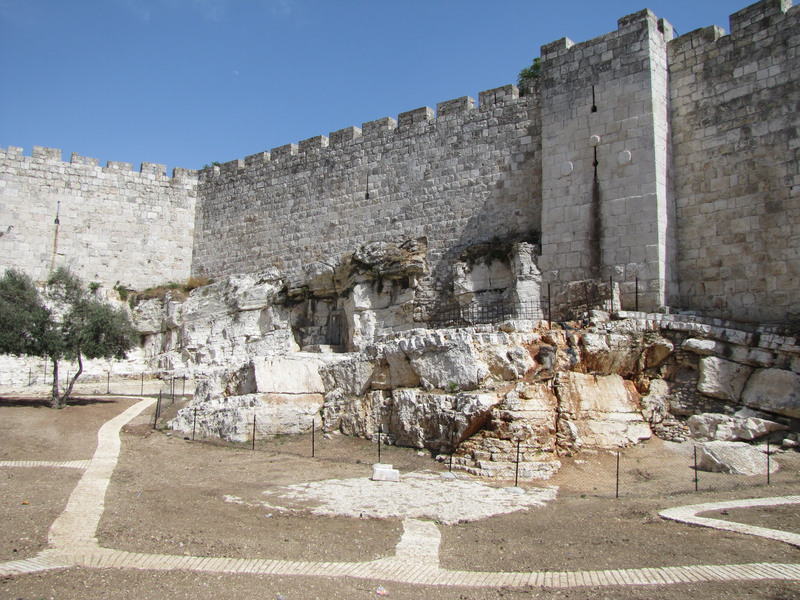 This bedrock rises out of Mount Moriah that the Temple Mount sets on to the south of this wall. 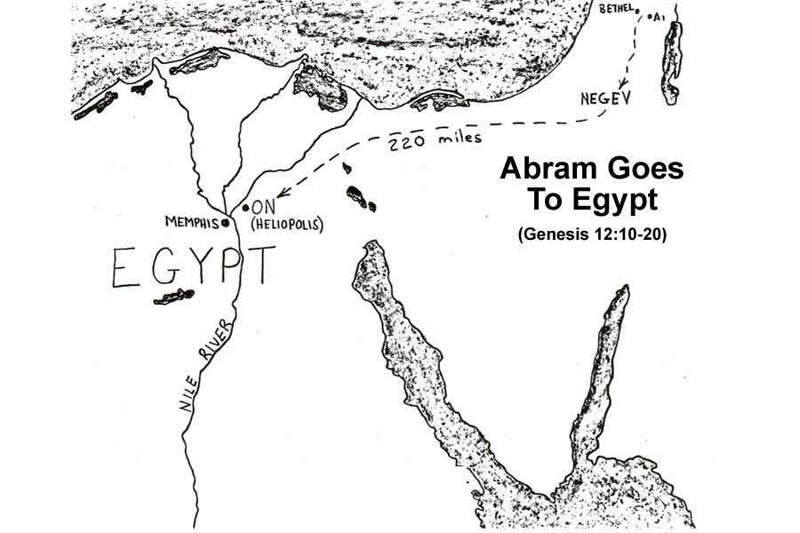 (click on image for larger size) A map detailing Abram's journey into Egypt in Genesis 12.